April 27, 1941 - Listen for the mention of the greatest bandleader of all time Glenn Miller. In the skit they go to the movie theater and "The Road to Zanzibar" is on the Marquee. 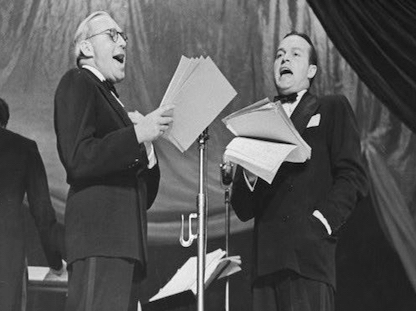 March 30, 1941 - Jack benny works in his garden and has trouble with his writers. 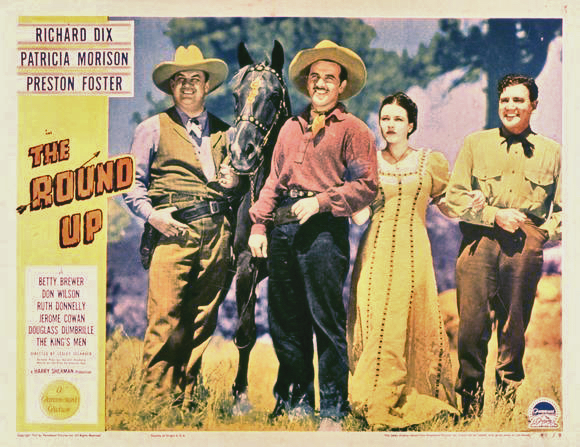 This episode mentions Frank Buck the animal collector, Luther Burbank the botanist, a "Mickey", Bromo-Seltzer and Don Wilson's western movie The Round Up. February 8, 1941 - This is an episode of a fundraising broadcast called America Calling in support of Greek forces fighting the invading Axis forces. Bob Hope and Jack Benny host many celebrities including Shirley Temple and Mickey Rooney.